Getting an education is serious business in much of China. Students are expected to complete daily homework even on weekends and holidays, but their learning doesn’t stop there. Parents routinely enroll their children in additional classes and extracurricular activities. They are especially eager to give their children an academic edge. Chinese parents spend a considerable sum of money on their children’s education – as much as $43,500 per year on classes outside the regular school day. The goal is to prepare their children to be successful in a high-tech world that is continually redefining itself. These study opportunities may be in the form of travel and specialty camps, but over 700 million Chinese use the internet regularly, and as many as 78 million learners access courses online. Intimate class sizes and personalized feedback make online learning an attractive alternative to more traditional afterschool programs in China. Students participate in a variety of online learning opportunities. In digital learning environments from around the globe, students learn core subjects like language and mathematics, and they also enroll in classes for coding and STEM. Chinese parents dedicate the time and money necessary for educational opportunity. The interest in edtech isn’t slowing down. It’s gaining in popularity. Optimizing study time and resources has been made possible by innovative edtech solutions and online courses, and the edtech companies delivering these courses have earned nearly ten billion dollars in the last five years alone. Additionally, the synergy begins at home: Beijing and Shanghai are hubs of edtech incubation and entrepreneurship. The Chinese are particularly eager to immerse their children in STEM courses. The nature of the science, technology, engineering, and math courses aligns well with the goal President Xi Jinping’s goal of being the premier innovators worldwide by 2050 and incorporating artificial intelligence in their education system no later than 2030. To meet this goal, China must have a population well-educated in technology and the other courses that support it. 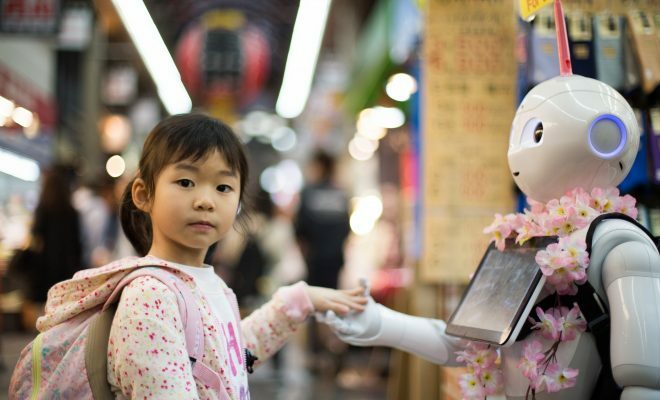 While the Chinese are forging ahead to meet this ambitious goal, not everyone is comfortable with China taking the leading in technology and artificial intelligence. Politics is no stranger to STEM education policy. In an effort to curb the influx of international students completing advanced degrees in STEM, the United States initiated new visa restrictions. The decision is based on fears of intellectual property breaches. Expected to impact 350,000 students, the changes in visas include shortening the stay from five years to one year. Reducing the time allowed to study in the U.S. will increase the likelihood that many Chinese students will explore higher education options in other countries. The advent of online learning makes it possible for these students to attend the classes they need in any time zone and any location.